We would like to share with you a Department of Education campaign that encourages parents to enrol their children into preschool for at least 600 hours (or 15 hours per week) in the year before school. The “It Makes You Think” campaign promotes the benefits of participating in early childhood education via an interactive website http://www.startstrong.nsw.edu.au. Ninety per cent of a child’s brain development occurs in the first five years of a child’s life making it a critical window for early education. We would encourage you to take a look at the website, and share the information with you and your family and friends to raise awareness of the importance of early childhood education. This clip from an inspiring gentleman named Prince EA gives us even more inspiration to advocate for change in the Education System. 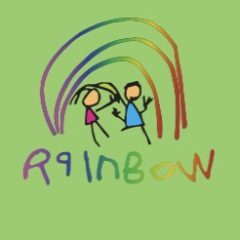 At Rainbow we believe that the focus of education should be on teaching each child in the way that they learn, rather than adopting a one size fits all approach. Each child is unique and will shine in their own way if they are given the opportunity. Let’s ensure they are all given that opportunity. Current research tells us how important it is to understand how a Child’s mindset influences their behaviour, motivation and achievement. More and more Educators are embracing Growth Mindset as a strategy to bolster childrens motivation, and these same strategies can be used at home. We are a Growth Mindset School, if you want to be a Growth Mindset Family Check out the great free training resource below.